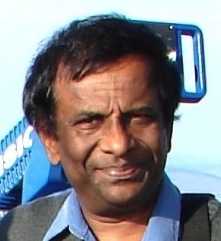 According to the Hindu newspaper, Kumar was active in the JVP in the late eighties and rose to prominence because of his command of Tamil, Sinhala and English. 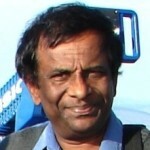 After his brother Ranjitham, a JVP activist, was killed in 1989, Kumar was arrested during a state-sponsored crackdown. 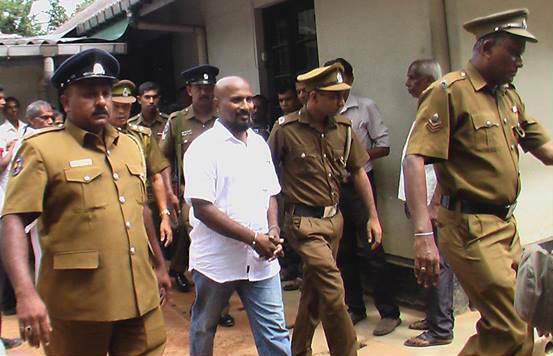 He was released under a deal struck during the Premadasa regime that involved targeting the Indian Peace Keeping Force. For a brief period in 1994 he re-surfaced during the elections, when he was in charge of Hambantota district, but again went underground following police harassment. According to another source, Upcountry People’s Front leader Chandrasekaran helped Kumar to come to Australia. Then he appeared to have re-surfaced at a JVP meeting in Colombo in September 2011 and involved in an altercation with the JVP leader Somawansa Amarasinghe. The group of dissidents that later became FSP had felt that the working peoples’ support for the JVP was diminishing and had called the JVP leadership to return to its original roots. If the JVP leadership did not, the group planned to get control of the JVP, or break away and form its own political party. The group of dissidents and the JVP leadership engaged in a bitter struggle to control party’s resources, including its headquarters. Kumar had many supporters within the JVP. The JVP leadership sacked its media unit, and utilised the courts and the police of the Sri Lankan state to stop the newspaper, Lanka from being published. The dissidents group alleged that the JVP leadership had adopted neo-liberal economic policies, and formed alliances with bourgeois political formations. Yet on key issues of the national question and the Sri Lankan security apparatus, Kumar’s group was, to put it charitably, mildly critical of the JVP leadership for its full moral and material support extended to the regime’s intensive war effort against the separatist Tamil militancy. The dissidents had not only maintained almost total silence on the issue of war crimes and other alleged human rights violations that had been committed, but continued to defend the state and its security apparatus when they were accused of war crimes. Even now, the dissidents’ political differences with the JVP on the national question are as clear as mud. Like the JVP, the dissidents were either silent or fully backed the previous regime’s war against Tamil militants. In doing so they tacitly agreed and hence backed the JVP’s demand that working people make sacrifices in order to support the war effort. The struggle of the dissidents appeared to be mainly focused on removing the existing party leadership, as it was too cosy with bourgeois political leaderships and also did not commit to be self-critical of their politics. However, it is debatable whether the dissidents had a fundamentally different viewpoint regarding all the issues on which they had been challenging the JVP’s leadership. For they have not proclaimed any differences regarding its policies on the national question or its staunch opposition to devolution of power. In April 2012, the internal ruptures within the JVP came to a crux, and the faction of dissidents that Kumar led, broke away from the JVP led by Somawansa Amarasinghe. Kumar’s recent arrest occurred immediately after the Minister for Higher Education of the current regime accused outside forces for instigating these protests. What all this signifies is an ominous sign that this regime will soon start using the same pretext to suppress the growing popular discontent of the masses and their increasing political opposition, and any expressions of peoples’ resistance against the regime’s unjust and unfair policies such as the implementation of the IMF’s neo-liberal austerity agenda, which had amply been demonstrated to be a failure world-wide*. Most telling is the regime’s expectation that the social unrest will continue to increase. With time, this regime could become more ruthless than the previous regime, when imposing the IMF’s demands for more austerity measures to be implemented. The realpolitik behind Kumar’s detention is the environment in which students of almost every university held protest demonstrations against the education policies of the Sri Lankan government. The Inter-University Student Federation (IUSF) affiliated with the FSP had called these demonstrations. The change of violation of visa regulations is nothing but simply a political pretext of the regime. Last October, the police used water cannons, tear gas and clubs to violently attack a peaceful demonstration of thousands of students in Colombo. This violence led to widespread anger, and in November, students held rallies to condemn the police violence against student protests and spending cuts to education. Regimes that have been identified as either capitalist or ‘socialist’ or in between have resorted to strategies of distorting history and tactics of personal slander. In the current era, only totalitarian regimes, particularly those that emerged from the colonial rule, appear to resort to open and protracted terror for keeping populations under control. Erstwhile colonial authorities like the British in Ceylon, passed on their totalitarian methods to local security establishments. Whenever the people tested the post-colonial regimes in these countries, those regimes did not hesitate to take advantage of the methods of unleashing state terror that colonialism had passed on to them. Bourgeois democratic regimes in the developed countries, where a majority of the population spends relatively more comfortable lives, have relied on law abiding behaviour of their populations for maintaining stability. The commonality being that irrespective of the colour of political ideology of a regime, party, group or an individual; distortion of history and personal slander have been used as tools for acquiring, maintaining or consolidating political power. Historically such distortions and slander have not prevailed as social scientists and human rights activists have conducted research or uncovered nefarious activities of their respective states. *I note that the government will implement the IMF demand to reduce the budget deficit from 6.8 percent of the GDP to 3.5 percent by 2018. It has reduced social spending, while allocating an unprecedented defense expenditure of Rs 306 billion and additional Police expenditure of Rs 60 billion. American Trojan Horses Entering Sri Lanka Now? I think Lionel Bopage will not distort facts. But assuming that his facts are correct what is the political line he is advocating. I mean according to him the JVP is bad, the FPP is a fake, Rajapakse is rotten, the new government is going down the tubes – so what then? Does he even extend critical support to any of these? Easy to promise but very difficult to achieve. There will be very few issues in the universities if the students are charged a nominal levy and the balance is treated as a loan just like in Australia. Unfortunately students who get through ALs think that free UNI education is a right and they have all the freedom to behave like hooligans on any issue because they don’t feel the pinch. Also the best part is that after completing 3-4 years of UNI education they demand a govt job as well and this includes doctors and engineers as well.